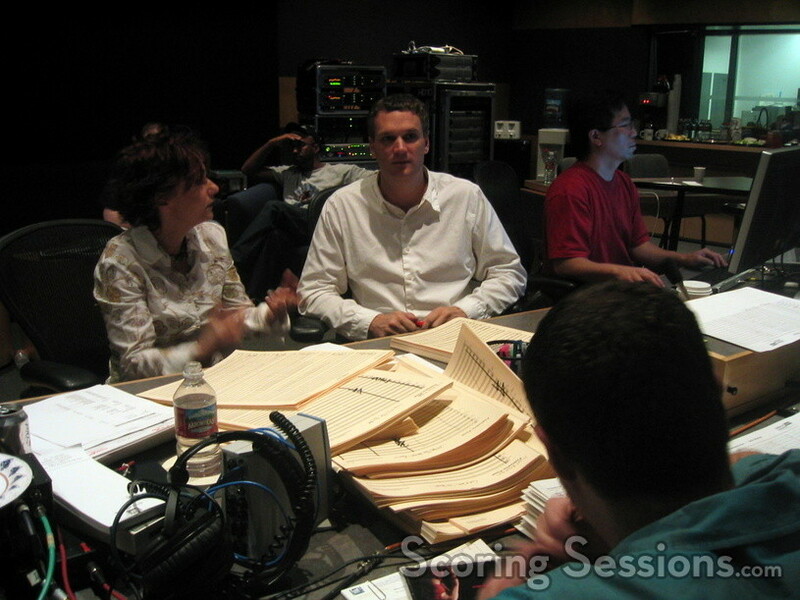 John Ottman returned to the Newman Scoring Stage at 20th Century Fox a few days ago. 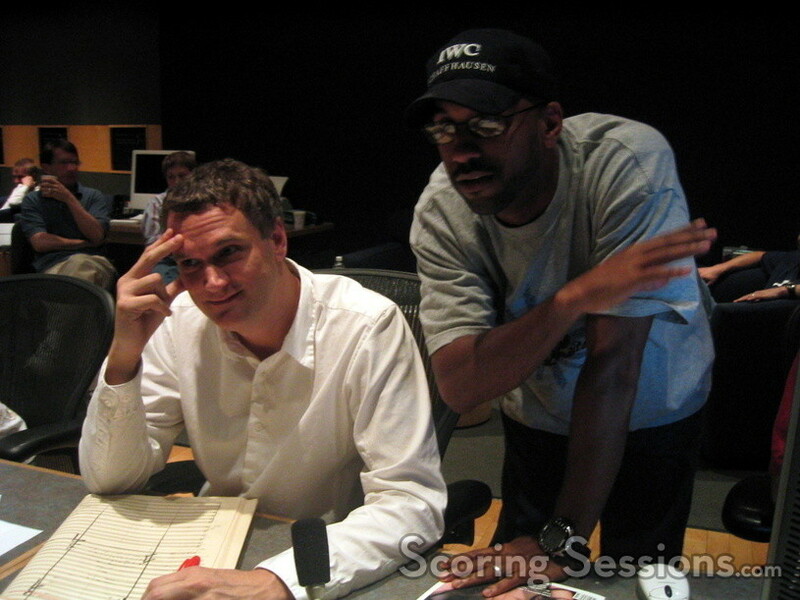 His mission: record the score to the Marvel superhero flick Fantastic Four in five days. 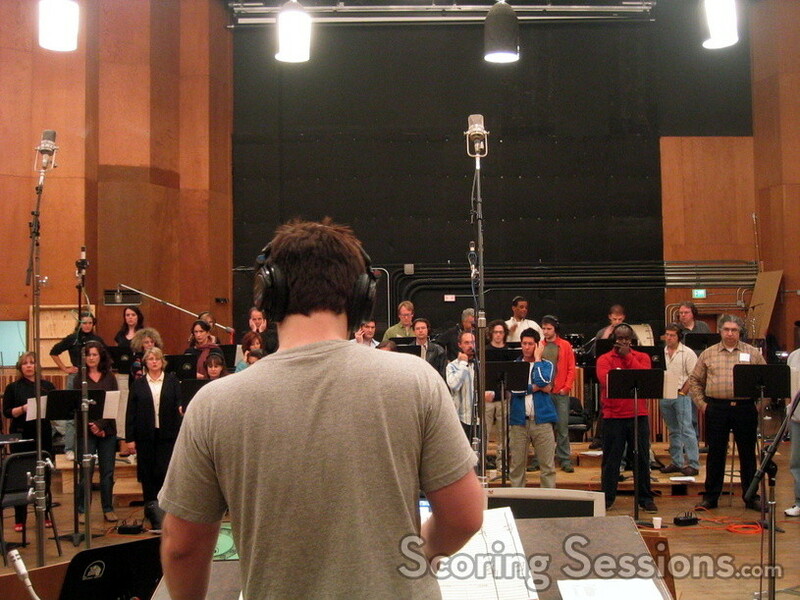 With over 90-minutes of score to record, Ottman used a 94-piece orchestra, and 32-person choir to realize his musical vision for the film. Piles of scores to record! Conducted by long-time Ottman collaborator Damon Intrabartolo, the music is bold and thematic, with plenty of action. Fans are sure to be delighted with what he came up with – you’ll definitely be humming this theme when you leave the theaters! John will finish the mix this week, with the help of score mixer Casey Stone, and then he’s off to Australia this weekend, where he dives head-first into another superhero movie: Superman Returns, directed by Bryan Singer. Ottman will be editing the film as well as scoring – and he will be using John Williams’ classic themes. 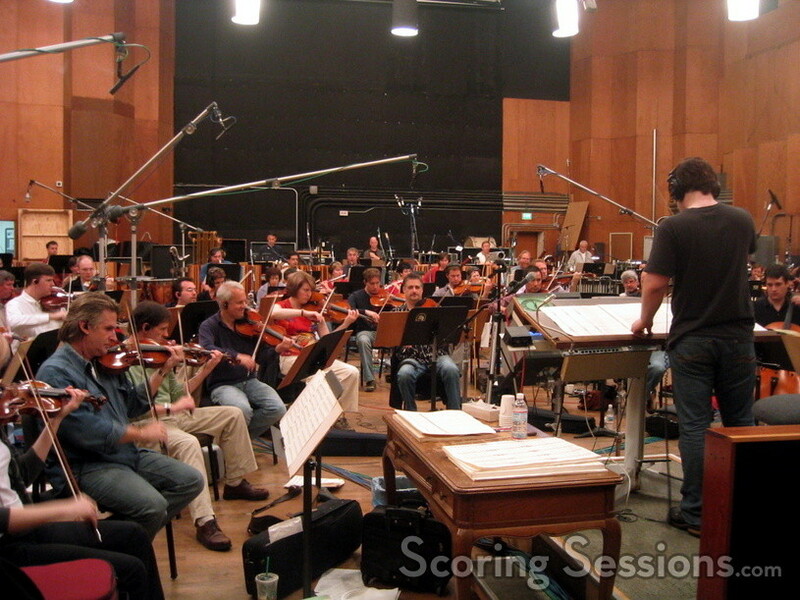 Fantastic Four opens on July 8, 2005, and in addition to a pop album, plans for a score album are in the works.